Schoolhouse Lofts in Inman Park is a wonderful loft conversion featuring authentic 1890s era homes in an historic school house setting. Enjoy all the benefits of a home location off Edgewood Avenue, steps to the Krog Street Market, and the Krog Street Tunnel. Walk the Atlanta Beltline. Love living near Historic Inman Park. Browse the shops of the Edgewood Retail District. 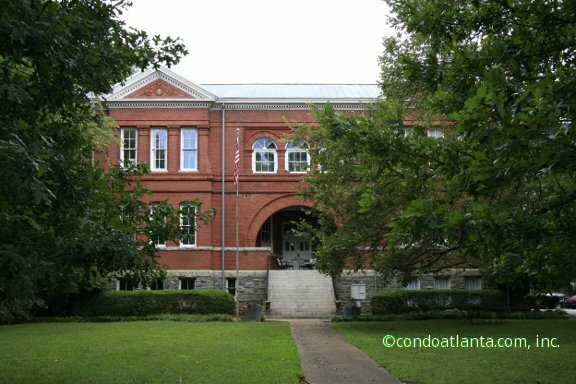 Inman Schoolhouse Lofts are convenient to the amenities of Cabbagetown, Reynoldstown, Little Five Points L5P, and the Historic Old Fourth Ward O4W. Community amenities for Inman Schoolhouse Lofts includes a salt water lap pool, and gated parking access for added security.